There might not have been any big flagship phone reveals so far, but CES 2019 has given us a handful of significant mobile announcements to get excited about. It had previously been rumoured that Samsung was planning to reveal its next flagship phone at CES this year, expected to be named the Galaxy S10. This didn’t happen, but arguably, we got some even bigger news… confirmation from Samsung CEO and President HS Kim, that “in the first half of this year we’ll be releasing 5G smartphones to the market”. Currently, 4G+ offers the fastest mobile connection and lets you download a Full HD movie in around 2.5 minutes. 5G promises to be much faster. A good 5G connection should let you download the same movie in under 10 seconds. We can make an educated guess as to which phone will be the first to get 5G, but it certainly sounds like Samsung have plans to launch 5G on more than one of their 2019 models. Back in 2018, Samsung gave us a sneak peek of their bendy concept phone. Unfortunately, that’s all it was, a peek. There had been rumours that LG was planning a big reveal of a foldable phone at this year’s CES, but sadly, it wasn’t to be. 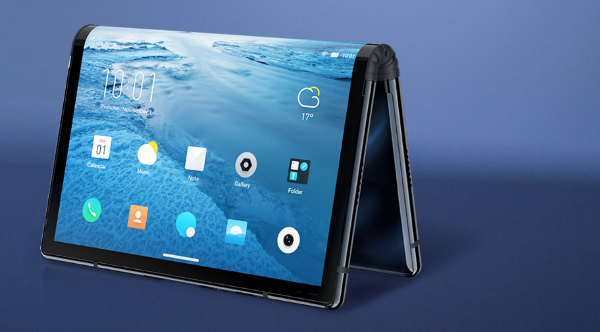 The world’s first foldable smartphone (that the public was allowed to get hands-on with) came from a little known America-based Chinese company, Royole. It’s fairly clear that the FlexPai isn’t the finely tuned end product we were hoping to see from LG - but what Royole has done is give us a proof of concept… and it actually works! The FlexPai is essentially two phones linked together with a screen that can flex 180-degrees. When it’s folded, you’ve got a standard sized smartphone with a screen at around 4 inches. Open it up and you’ve got a tablet with a 7.8-inch screen. The FlexPai certainly isn’t the best smartphone in the world. it’s a little rough around the edges, slower than most modern phones and Royole have had to add their own custom version of the Android operating system, because Android hasn’t yet created an OS that works with bendy phones. But that’s not what it’s about. This is a phone with a screen that bends in half - and that has huge implications for the future of smartphones… Good work Royole! Ok, strictly speaking, it’s more of a virtual accessory than a physical one. But Google Assistant has been around for a couple of years now and over that time, it has evolved enormously – and it’s about to take another evolutionary leap. Google has just announced that their smart assistant is about to be updated with an Interpreter mode, which means you’ll be able to have real-time conversations in up to 27 languages. Just say ‘OK Google, be my Spanish translator’ and your Google Assistant will translate your words as you speak – futuristic or what! 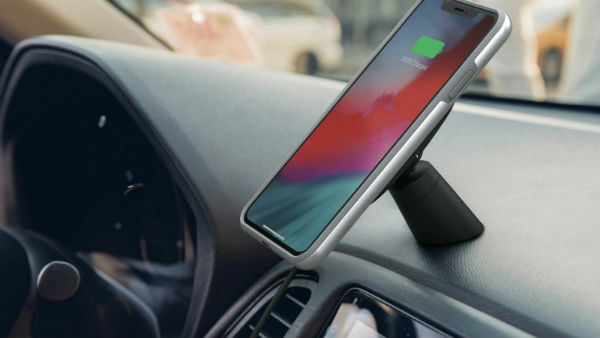 Keeping your iPhone charged while you’re on the go can be a bit of a headache, but Moshi has the answer – a magnetic wireless charging car mount. This is actually a much bigger innovation that it seems. Normally, magnets would interfere with the charging function of the pad, but Moshi has positioned the magnets around the charging coils to stop this from happening. It’s great looking and super easy to use, just pop your phone on the pad and the magnets will hold it securely in place. Continuing the theme of wireless charging, Griffin revealed a range of sleek looking charging mats including a stand, power bank and even a mat designed specifically for your iPhone and Apple Watch. The charging mat will be compatible with both Samsung and Apple fast wireless charging, while the iPhone mat and watch dock will be compatible with all generations of the Apple Watch. The wireless charging mat and stand easily switches between flat and upright positions and is compatible with all QI enabled smartphones. And that, in a nutshell, is our CES 2019 smartphone roundup. What do you think? Are you looking forward to getting your hands on a 5G smartphone? Or one that folds? Share your thoughts in the comments below.